"Giving You The Power To Protect What Matters"
All over the world, security and safety are the major requirements that everyone is searching on for and caring about. To feel safe in your home with your family, at your work, and everywhere around you, to secure your personal belongings or business; this is what we give you at AHRAM the most trusted name for quality and reliability in the mechanical lock market, so we are proudly able to say stop that AHRAM is “Giving you the power to protect what matters”. AHRAM secures and makes safe millions of homes and businesses in Egypt and worldwide with more than 70 years of experience in the market. AHRAM is a leader manufacturing company in the field of mechanical security locks. Founded in 1945 by the late Engineer Ezzat Aref, we specialize in offering bench-marked security locks. AHRAM is committed to excellence in manufacturing world-class products which offer safety to consumers in everyday life. It swiftly became a well-known and highly respected name in the lock industry and has continued to increase its sales volume. 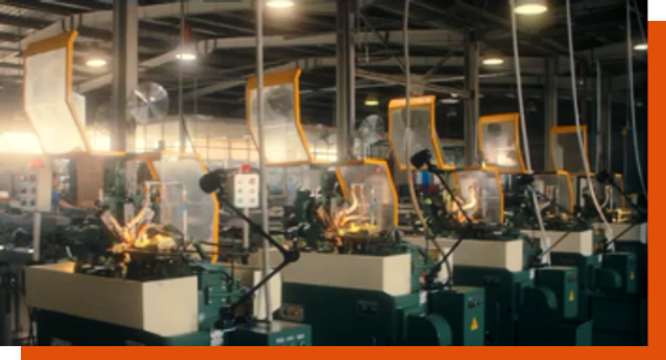 Consequently, in 1990 the manufacturing facility was relocated to a cutting-edge factory in 10th of Ramadan City spread out over 20000 m2 employing well trained professional engineers and experienced technicians. In no time AHRAM emerged as one of Egypt’s leading private investment groups and aggressively expanded to address the diverse needs of contractors and projects, as well as end-users and export sectors. ​AHRAM is committed to excellence in manufacturing world-class products which offer safety to consumers in everyday life. It swiftly became a well-known and highly respected name in the lock industry and has continued to increase its sales volume.